Welcome to The Round Towers Spares website. Looking for some parts for your vehicle or some technical advice, then we are here to help! Round Towers Spares started trading in Church Road Stockingford in 1972. Over the next 10 years business grew serving the trade and general public of Nuneaton and the surrounding villages. In 1982 having outgrown the Church road premises (700 Square feet) the business moved into its present day premises, which now with a store extension occupies some 5,000 square feet and is today bursting at the seams with a massive stock holding. The workforce has grown from two owners and one member of staff in the early days to two working Directors, five sales staff, two full time drivers, three part time drivers and one secretary. Over the last 40 years RTS, Round Towers or The Towers (abbreviations we have become known as) have always worked hard to give an efficient friendly and knowledgeable service to the people of Nuneaton and North Warwickshire, supplying parts of original equipment quality or higher. In 2006 to gain even more knowledge and supplier contacts RTS became a member of the Group Auto Union (G.A.U. ),which today is the largest independent trading group in the European after market spares industry. This membership has opened doors to hundreds of suppliers enabling RTS access to millions of parts several times a day and that being on top of the massive stocks already held on site. Along with all the parts that are available a whole range of services are available to help our staff and customers most notably that of technical knowledge. All this enables comptively priced parts to be supplied correctly time and time again. The business has changed over the years from supplying a modest range of parts for vehicles that were 5 years and older to today where we can supply most parts and are supplying for vehicles from 1 year old. 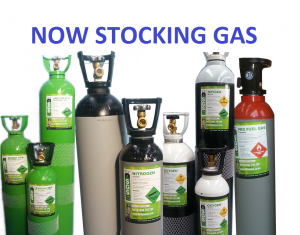 Our Stocks and ranges are updating daily and on top of this we are continually looking to improve our service to you the customer, the latest being on-line trading and the supplying of parts with a same day delivery to the local vicinity. The last 40 years have been most enjoyable and seen us trade with generations of families, we look forward to the next 40 and would like to thank all our customers past present and in the future for helping us to grow and serve you.